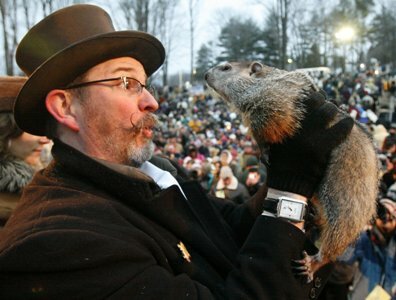 On February 2nd, everybody tunes in to find out if a certain groundhog sees his shadow. If he does, there will be 6 more weeks of Winter. If he doesn’t, everybody rejoices and Spring comes early. This tradition got me thinking. Some of us approach our sales numbers the same way. We look for signs and guess about whether or not they are good or bad. But unlike the weather, the power to grow our businesses is in OUR hands. You can make the choice ― do you see 6 more weeks of stagnant revenue numbers or are you going to choose to take the power back and build business growth? Marketing success is found in REPETITION and CONSISTENCY. Direct mail postcards can produce the leads you need to see your business flourish. However, if you want to get the best possible return on your marketing investment, you need mail your cards on a regular schedule. The more a prospect sees your ads, the more likely they are to become a customer. It is a basic pillar of marketing, and it is proven to work. In the technological climate we live in, your website is SO important. It’s an asset you simply cannot afford to neglect. 90% of interested prospects will visit your website before they call your office or visit your store, and your website carries the huge responsibility of engaging and connecting with these prospects. Make sure your site is designed with the 5 Essentials of a Business Website, so it becomes an intentionally structured vessel that can carry visitors through the sales process. If you invest in regular and consistent direct mail campaigns, and back them up with a great online presence, you will get more leads and see your conversions rise as your business grows consistently and sustainably. And then it won’t matter if you see your shadow or not!